There's something interesting news going on for Captain America: The Winter Soldier. AMC has a double feature for opening night. 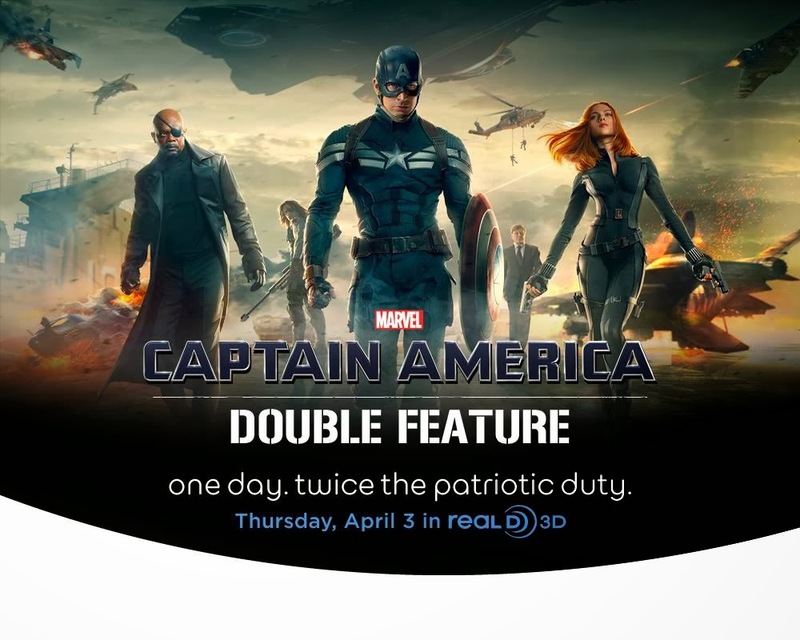 See the first film at 5:30pm followed by the new film at 8:00pm in 3D for $30. 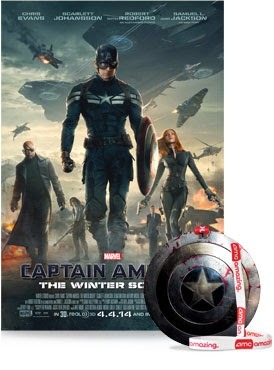 You get a full size Captain America poster as well as a special lanyard in the shape of the shield! Next up, if you're an elitist and want to see the movie before the general public. You're in luck if you live in one of the following cities: Austin, Chicago, Kansas City, Los Angeles, New York City, Orlando, Philadelphia, Raleigh, San Diego and Washington D.C. 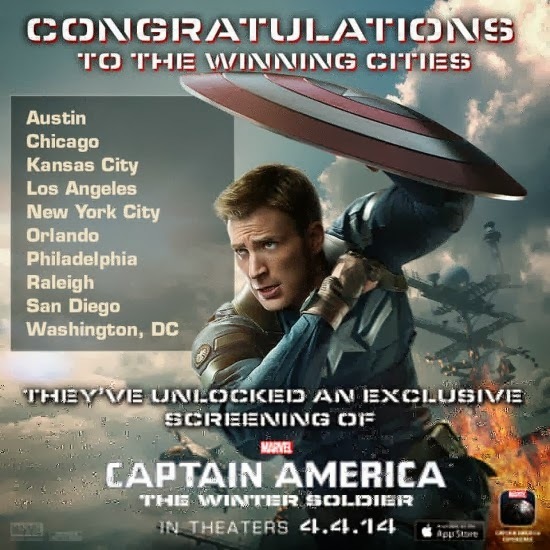 These cities will be able to watch an early screening (paid!) on March 20th that goes on sale on March 14th. Expect tickets to sell out fast! There are expected to be free screenings as well which we should hear about in the coming weeks. Who's excited to see this?